Throughout my career I’ve been surprised. Perhaps the most amazing surprise to me was actually one that I ultimately proposed but it defied everything I'd thought before. And that is this amazing result that empty space has energy. It is so weird to think that you can get rid of all the particles and all the radiation in space and it still weighs something. It seems crazy. And when I was a graduate student, we were all certain that the energy of empty space was zero. And ultimately we were dragged - in fact, I was dragged, kicking and screaming by the observations - to propose this incredibly crazy idea that empty space has energy. In fact, it’s been observed to have energy. In fact, the people who observed it won the Nobel Prize last year. And I think for me that has changed everything about my understanding of the universe. Both its past, its present, and its future. And I think it’s a wonderful example of how scientists are willing to throw out ideas like yesterday’s newspaper. This opinion is odd. 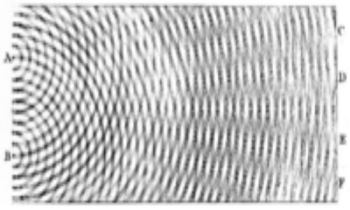 The Wikipedia article on Zero-point energy says that the concept is a century old, and has been essential to our understanding of quantum mechanics. In the 19th century, it was called the aether. People were skeptical about it being cosmologically observable, and I agree with giving a Nobel Prize for the 1998 astronomy work, but it was not so contrary to conventional wisdom. It was not a crazy idea. I agree with his point about throwing out failed ideas, but that means throwing out many-worlds interpretation, string theory, Bohm nonlocal mechanics, supersymmetry, black hole firewalls, proton decay, massless neutrinos, etc. Update: Sabine Hossenfelder posts examples of papers before 1998 suggesting an accelerating cosmological expansion. You're confusing a bunch of different things here. Zero-point energy is NOT the same thing as dark energy. Also, I don't think that anyone in the 19th century could have had any idea about dark energy. To imply that that dark energy is the same as the aether concept is just bizarre. "I agree with his point about throwing out failed ideas, but that means throwing out many-worlds interpretation, string theory, Bohm nonlocal mechanics, supersymmetry, black hole firewalls, proton decay, massless neutrinos, etc." I'm not sure what this list is supposed to be. You mention the many worlds interpretation, which is an untestable idea about the interpretation of quantum mechanics that pretty much nobody is working on. So I'm not sure that we need to "throw out" many worlds. You also mention supersymmetry and string theory, which are important for theoretical reasons regardless of whether they give a correct framework for particle physics. They are not ideas that can or should be thrown out. You mention massless neutrinos which are ruled out experimentally. I've never heard of anyone postulating massless neutrinos, so I don't think that's something that needs to be thrown out either. Finally, I'm not sure why you're saying that black hole firewalls are a failed idea. Do you have an actual reason, or are you just ranting against all the mainstream topics in theoretical physics? Krauss says that empty space having energy was a crazy idea. It was not. It was conventional wisdom. 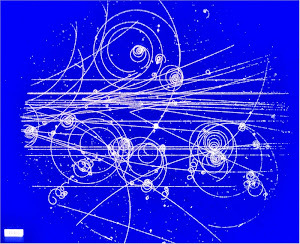 Massless neutrinos were certainly postulated as part of the standard model, and textbooks said so for about 20 years. See Wikipedia for details. You seem to want to believe in physical theories that have no demonstrable relation to the physical world. Then I guess you disagree with Krauss that scientists need to throw out ideas like yesterday's newspaper. If supersymmetry were really doing what the theorists had proposed, then the LHC would have found it by now. At some point physicists need to admit it when ideas don't work. "empty space having energy... was conventional wisdom." I agree, but here Krauss is implicitly talking about dark energy. The fact that the expansion of the universe is accelerating was not conventional wisdom. It came as a total surprise. "Massless neutrinos were certainly postulated as part of the standard model, and textbooks said so for about 20 years." I was saying that I've never heard of anyone postulating massless neutrinos after they were understood to have nonzero mass. It was not a concept that scientists were reluctant to throw out. "If supersymmetry were really doing what the theorists had proposed, then the LHC would have found it by now. At some point physicists need to admit it when ideas don't work." I can't think of a single scientist who would be unwilling to admit when their idea has been falsified. There are many models based on supersymmetry that have been falsified, and physicists accept this. But by focusing specifically on models of BSM physics, you're ignoring a huge amount of very important work that uses the idea of supersymmetry. For example, supersymmetry is nowadays used to do approximate calculations in QCD and to study the relationships between different quantum field theories. This kind of supersymmetry is important in many parts of physics and is not going to be thrown out. I agree that the accelerating expansion was a surprise. If Krauss just said that, I would have no quarrel with him. I thought that there was some resistance to neutrino mass, but I could be wrong. I still don't understand how neutrinos can always be left-handed if they have mass, but I am sure that I am just showing my ignorance. At any rate, I was just citing massless neutrinos as a recent example of a good physics idea that had to be thrown out like yesterday's newspaper.